We’re all capable of abuse when we’re frustrated or hurt. We may be guilty of criticizing, judging, withholding, and controlling, but some abusers, including narcissists, take abuse to a different level. Narcissistic Abuse can be physical, mental, emotional, sexual, financial, and/or spiritual. Some types of emotional abuse are not easy to spot, including manipulation. It can include emotional blackmail, using threats and intimidation to exercise control. Narcissists are masters of verbal abuse and manipulation. They can go so far as to make you doubt your own perceptions, called gaslighting. Remember that narcissistic personality disorder (NPD) and abuse exist on a continuum, ranging from silence to violence. Rarely will a narcissist take responsibility for his or her behavior. Generally, they deny their actions and augment the abuse by blaming the victim. Particularly, malignant narcissists aren’t bothered by guilt. They can be sadistic and take pleasure in inflicting pain. They can be so competitive and unprincipled that they engage in anti-social behavior. 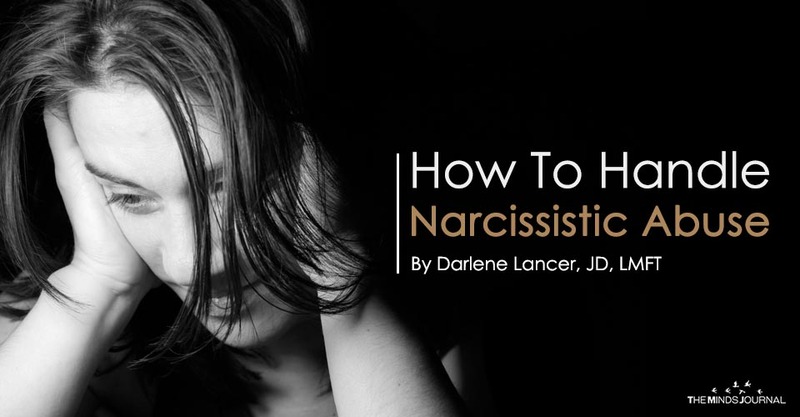 Don’t confuse narcissism with an anti-social personality disorder. The objective of narcissistic abuse is power. They act with the intent to diminish or even hurt other people. The most important thing to remember about intentional abuse is that it’s designed to dominate you. Abusers’ goals are to increase their control and authority while creating doubt, shame, and dependency in their victims. They want to feel superior to avoid hidden feelings of inferiority. Understanding this can empower you. Like all bullies, despite their defenses of rage, arrogance, and self-inflation, they suffer from shame. Appearing weak and humiliated is their biggest fear. Knowing this, it’s essential not to take personally the words and actions of an abuser. This enables you to confront narcissistic abuse. Self–Blame Don’t blame yourself for an abuser’s actions and try harder to be perfect. This is a delusion. You can’t cause anyone to abuse you. You’re only responsible for your own behavior. You will never be perfect enough for an abuser to stop their behavior, which stems from their insecurities, not you.